There were “obvious objections to having two prisoners in one cell – the most common objection being that it facilitates homosexuality”. THE MOST COMMON objection to the changing of prison rules to allow inmates to share cells concerned homosexuality. According to a memo in the Taoiseach’s department, released under the 30 Year Rule, there were “obvious objections to having two prisoners in one cell – the most common objection being that it facilitates homosexuality”. 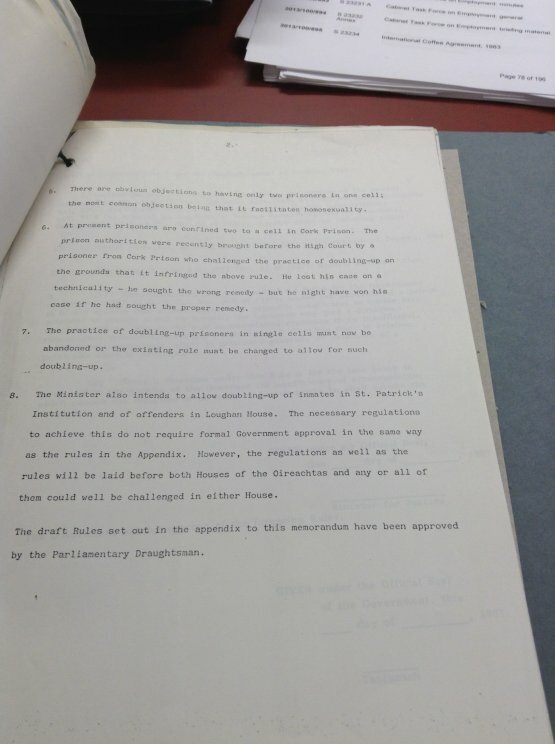 In May 1983, Minister for Justice Michael Noonan sought the government’s approval for Prison Rules which would allow the governor of a prison give an order to house two prisoners in one cell if accommodation was insufficient. The change was requested following a court case in Cork where a prisoner objected to being held in a cell with another man. The practice of doubling-up had to be abandoned or the existing rule changed, Noonan told the Taoiseach’s department. The prisoner lost his case on a technicality – he sought the wrong remedy – but the State conceded that he “might have won…if he had sought the proper remedy”. Noonan intended to allow doubling up of inmates in St Patrick’s Institution and Loughan House. A second memo detailed the “serious problems” within Irish prisons in the early 1980s which included increasing numbers and the “ever escalating costs” of running the facilities. The practice of doubling up continues in Irish State prisons. Figures released by Alan Shatter this month confirmed that 1,799 prisoners were accommodated in single cells, while 1,756 sleep in double cells. Meanwhile, 399 inmates share cells with two other people, while at least 120 men are kept in cells with four or more prisoners. Email “Changes to prison accommodation rules raised concerns about homosexuality”. 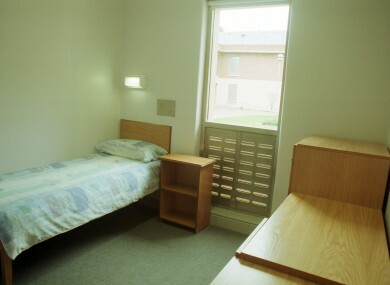 Feedback on “Changes to prison accommodation rules raised concerns about homosexuality”.